Geeking is a term used by drug users to describe binge crack use – using crack cocaine over and over in a short period of time, at higher and higher doses, to stay high. 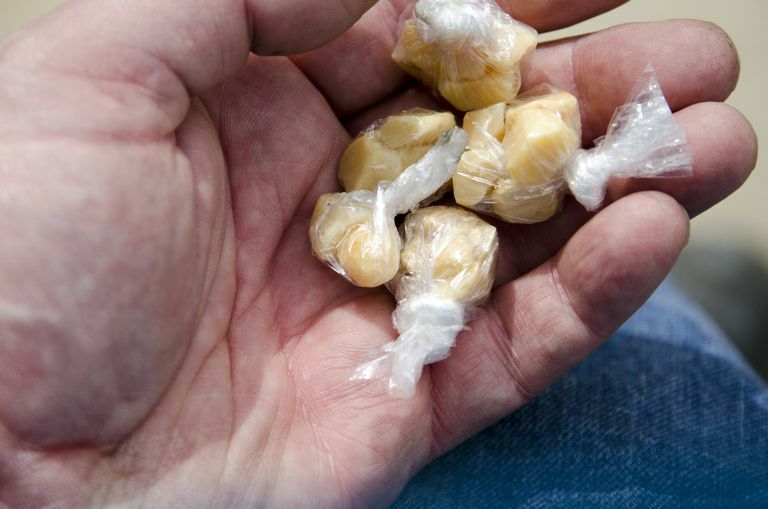 Once a user is addicted, he or she will go to any lengths to raise cash to purchase more crack, including shoplifting, stealing, pawning property, or prostitution. It’s easy to see how binging on crack can lead to addiction, since cocaine is a powerfully addictive drug. At the very least, it can make the user irritable, anxious, and restless. “Geeking” is also used to describe the paranoia seen in people using crack. For example, a user may obsessively peer out of windows, looking for police, or search for fragments of crack on the floor. It’s also possible to experience temporary paranoid psychosis – severe paranoia that causes loss of touch with reality. Cocaine is made from the leaves of the coca plant, native to South America. Crack cocaine has been processed into rock-like crystals (the reason it’s often called “rock”). A user heats the rock to create vapors that are breathed-in to get the high. Ever wonder why it’s called “crack”? The name comes from the crackling noise the rock makes during heating. In a clinical study of geeking, binge crack use was defined as, “using as much crack cocaine as you can, until you run out of crack or are unable to use any more.” The researchers asked the 155 study participants to describe their crack-related behaviors over the preceding 30 days. What a Typical Binge Looked Like. The study participants reported that a typical binge lasted about 3 days and involved about 40 cocaine rocks. Why They Stopped Binging. Seventy-four (47.7%) stopped because they ran out of crack or the money to buy it, and 81 (52.3%) stopped because they were too sick or exhausted to continue. What Other Health Problems, Besides Addiction, Can Geeking Cause? Cocaine can have major effects on a user’s heart and blood vessels, increasing his or her risk of having a heart attack or stroke. These effects include raising blood pressure and heart rate and narrowing blood vessels. Other ways cocaine affects a user’s body include headaches, abdominal pain, nausea, dilated pupils, and increased body temperature. In addition, users may become malnourished due to cocaine-induced loss of appetite. Cocaine use also lowers a user's inhibitions and impairs his or her judgment. This often leads to promiscuous and risky sexual behavior that can increase the user's risk of HIV infection. The information provided here comes out of the painful and even fatal experiences of many people who used cocaine and got into geeking. Hopefully what's been learned from them will help keep others from making the same choices. “Commonly abused drugs charts: cocaine.” National Institute on Drug Abuse, National Institutes of Health (2016). “DrugFacts: cocaine.” National Institute on Drug Abuse, National Institutes of Health (2013). Harzke AJ, Williams ML. “Binge use of crack cocaine and sexual risk behaviors among African-American, HIV-positive users.” AIDS Behav. 2009:13(6):1106-1118.